The Red Off-the-Shoulder One! 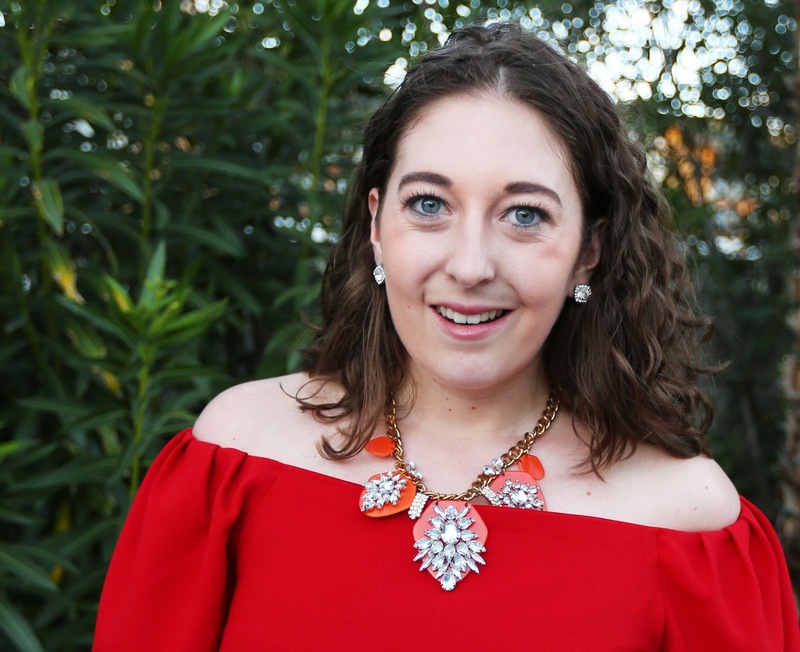 Magnolias and Sunlight: The Red Off-the-Shoulder One! This weekend I had the amazing pleasure of meeting Paige Smith the co-owner of Cake Plate Boutique in Napa. It's seriously the cutest store!! Since then we've set up plans to do a few collaborations and this is the first one. So follow along today for three mini posts of three different looks created with items from Cake Plate! 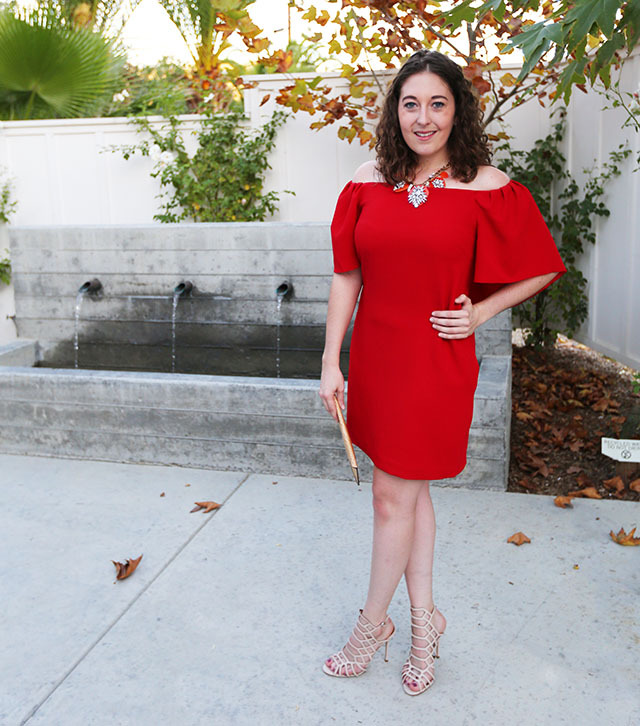 These dresses are perfect for any party you plan to attend and with the holidays coming up I know we all have a packed social calendar. This red Trina Turk was my favorite of the three dresses I tried on (even though I was pretty obsessed with each of them)! 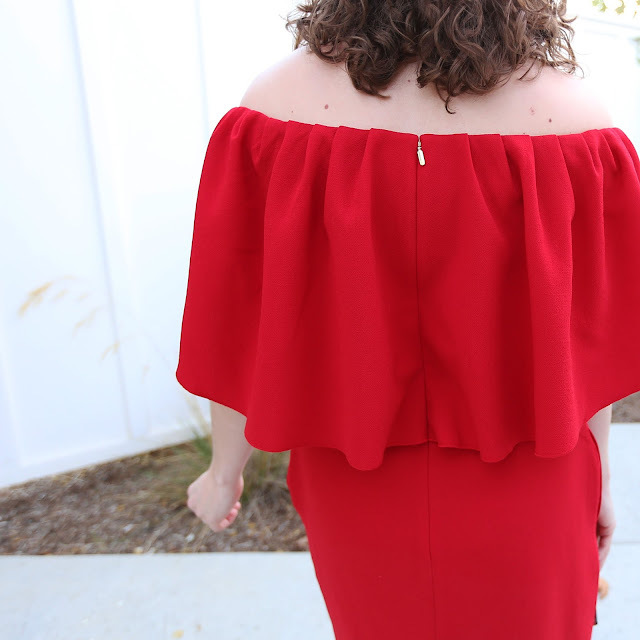 I love that if you want a traditional red number for your Christmas extravaganza this option offers some extra flair with the off-the-shoulder detail. It brings one of summer's biggest trends to fall/winter. Oh and it has pockets, so there's really no reason to say no. Can we talk about this necklace? It was also a Cake Plate piece and it's a great way to bring a little flair to this dress. Like most Trina Turk styles it doesn't need a ton of accessorizing because of the gorgeous ruffle detail, but we all definitely need a little sparkle! Check back later for look number two! Like the dress or the necklace? Let Paige know for shipping options! OMG I LOVE THAT DRESS! You look so stunning and how styled everything is perfect!! Thank you so much, Liz!! I was obsessed with it!